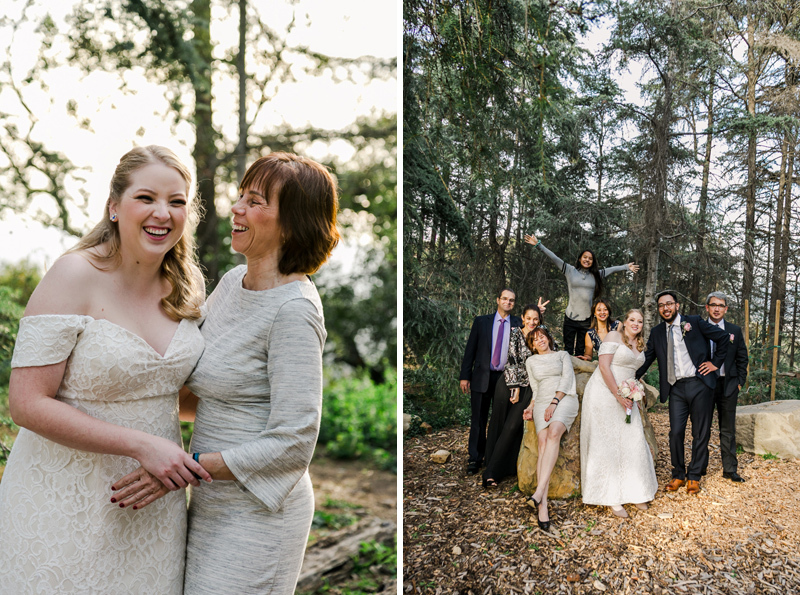 Carolina and Matt brought their families together in Los Angeles for a wonderfully woodsy elopement last month! 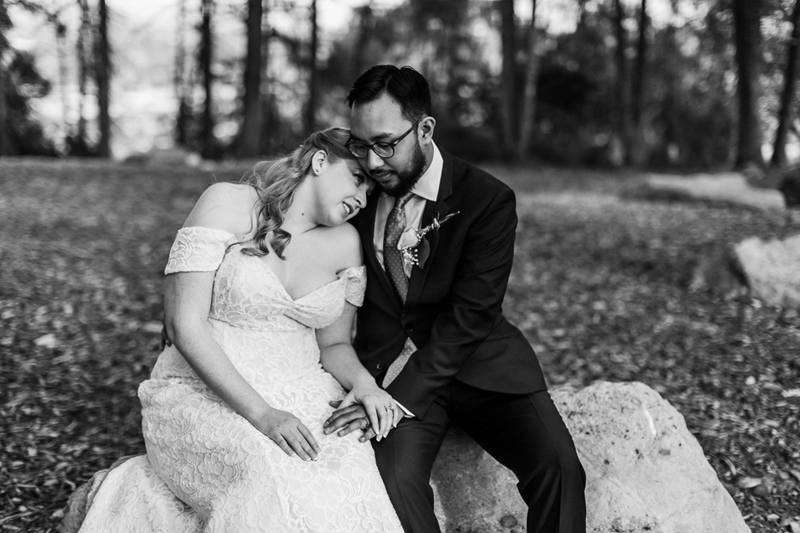 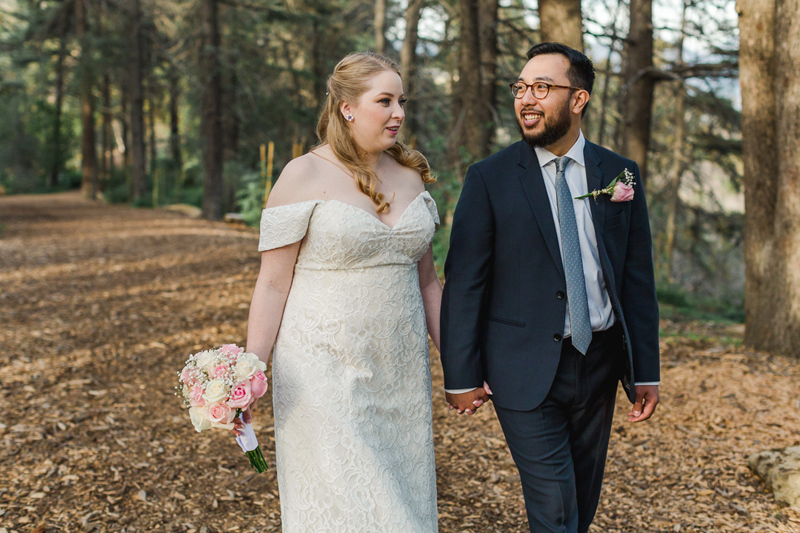 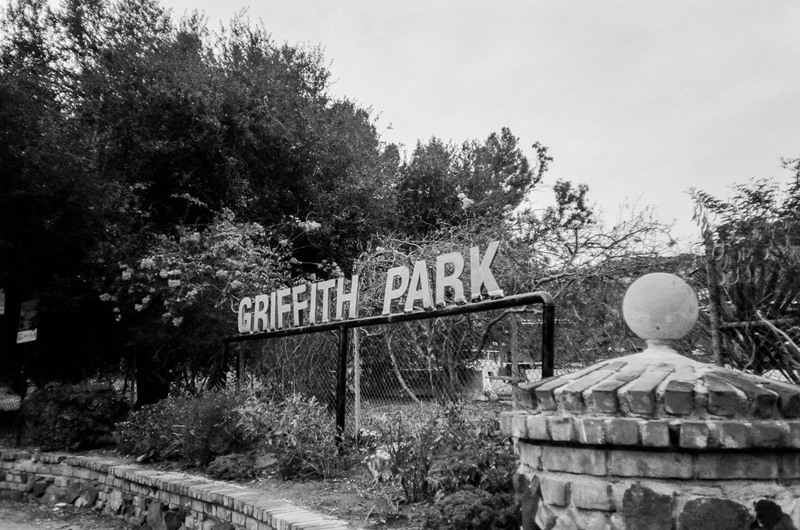 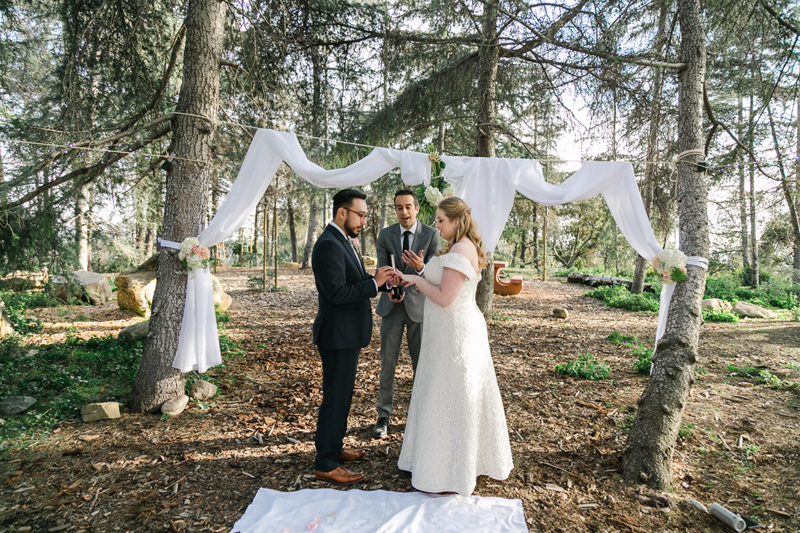 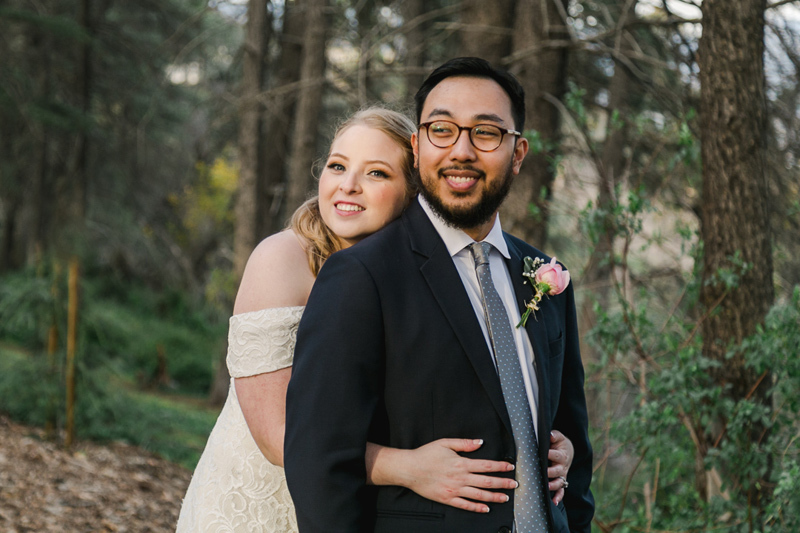 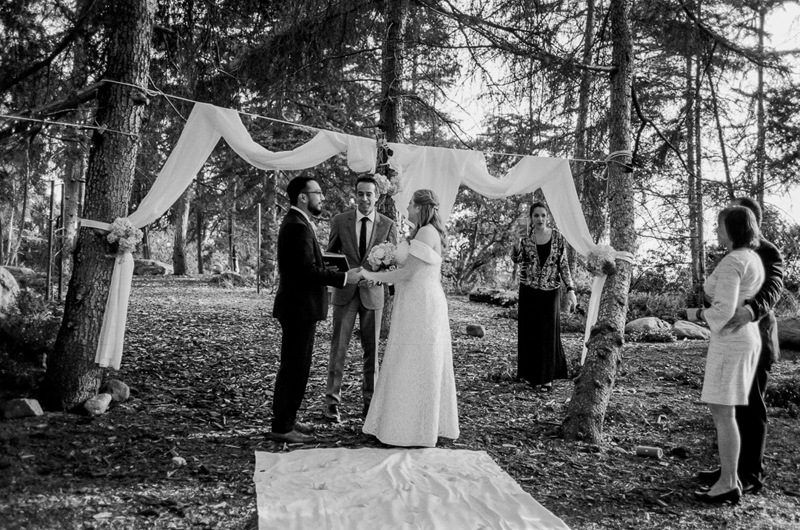 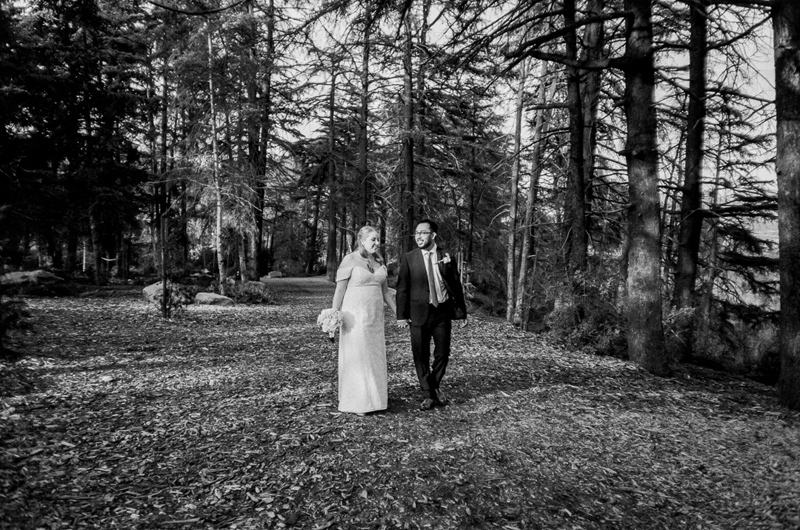 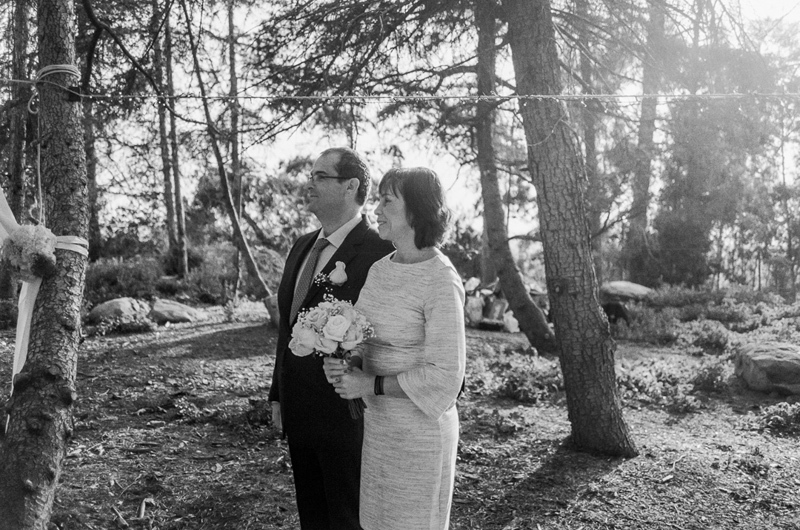 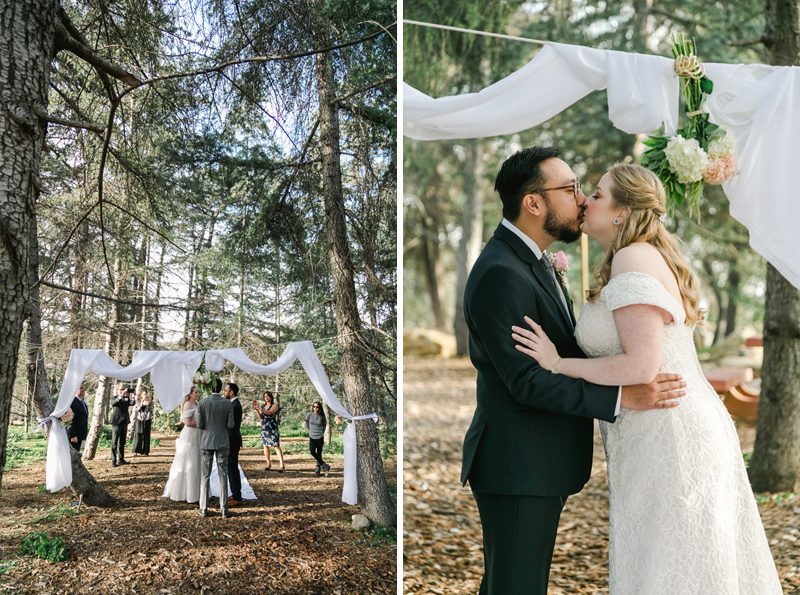 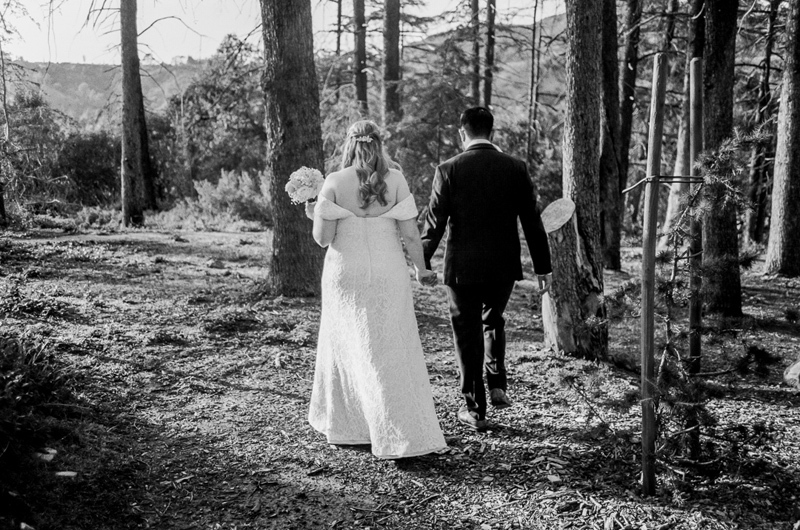 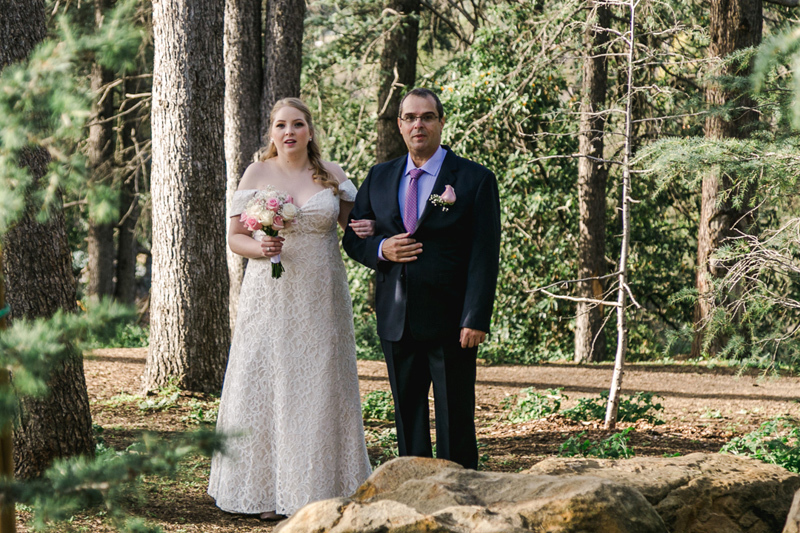 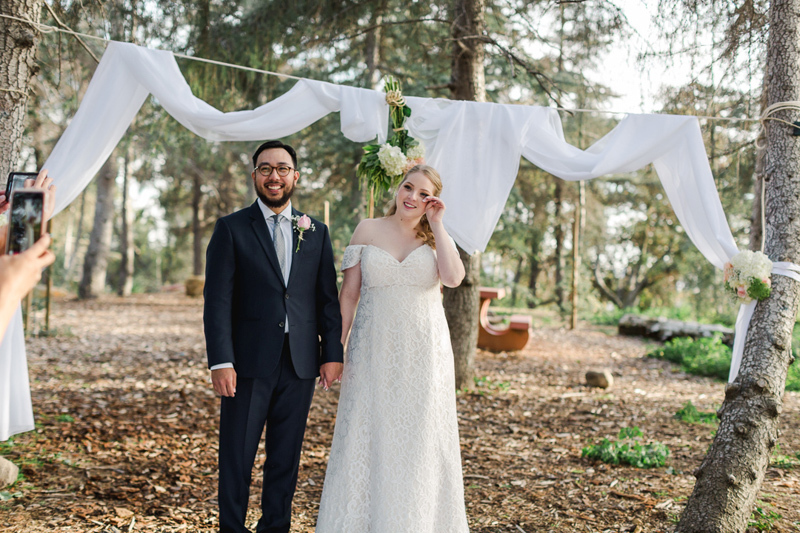 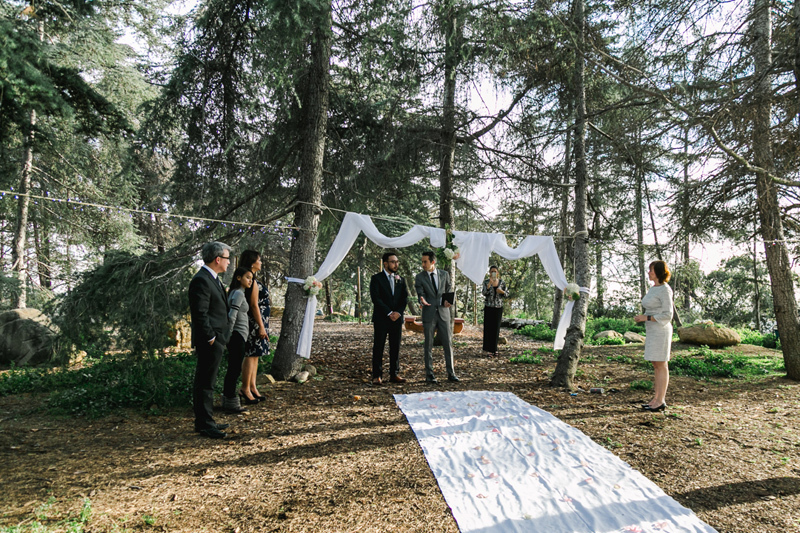 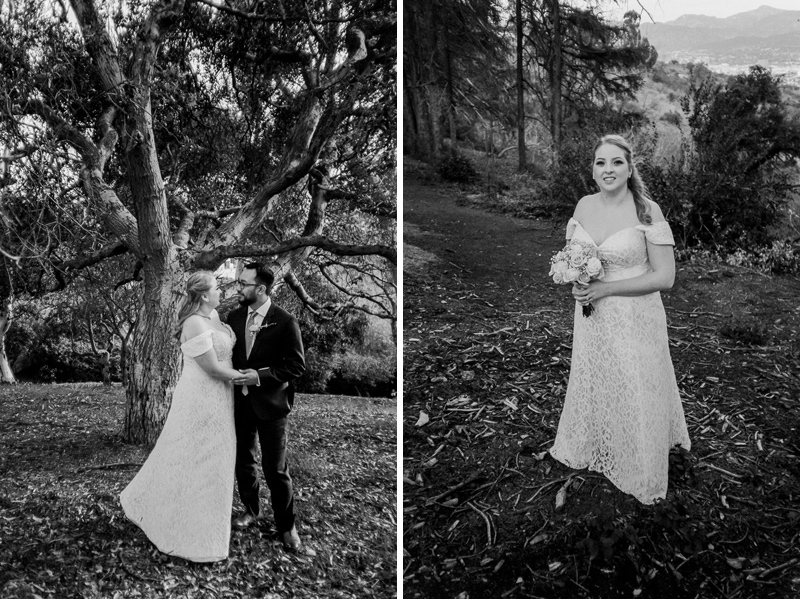 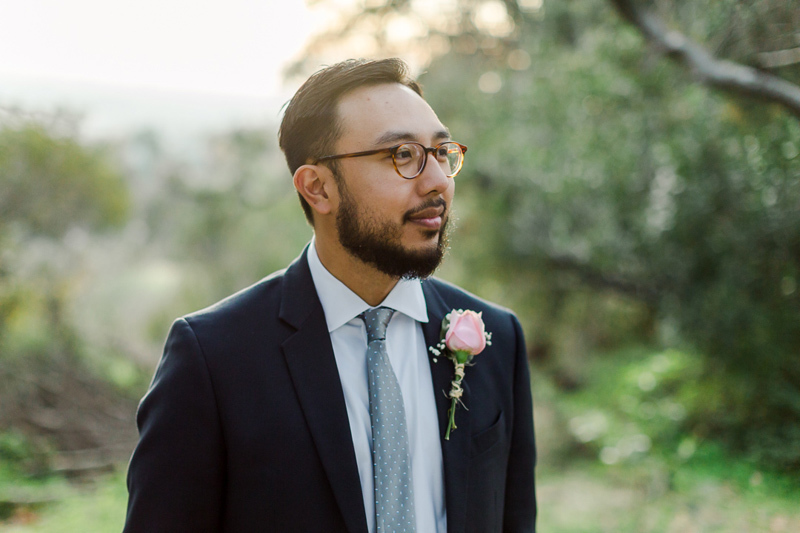 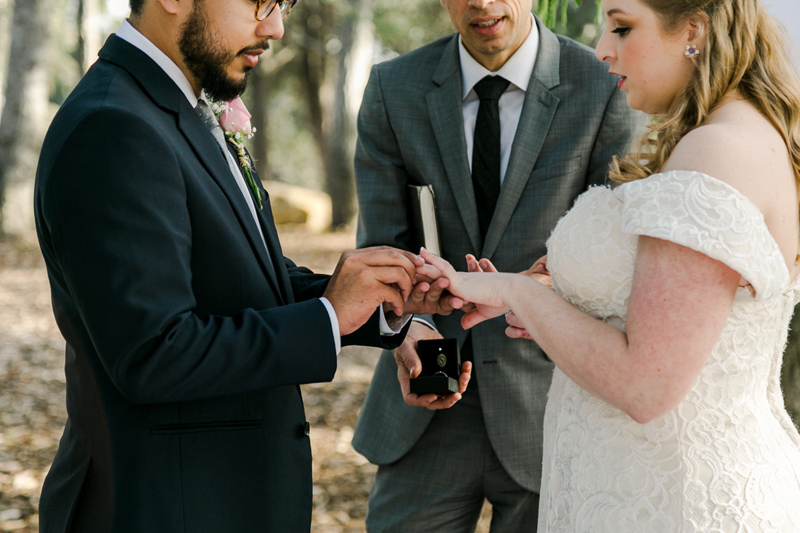 They chose Cedar Grove in Griffith Park for their ceremony because, as Carolina said “Eloping in nature, which is something we both love, made the most sense to us. 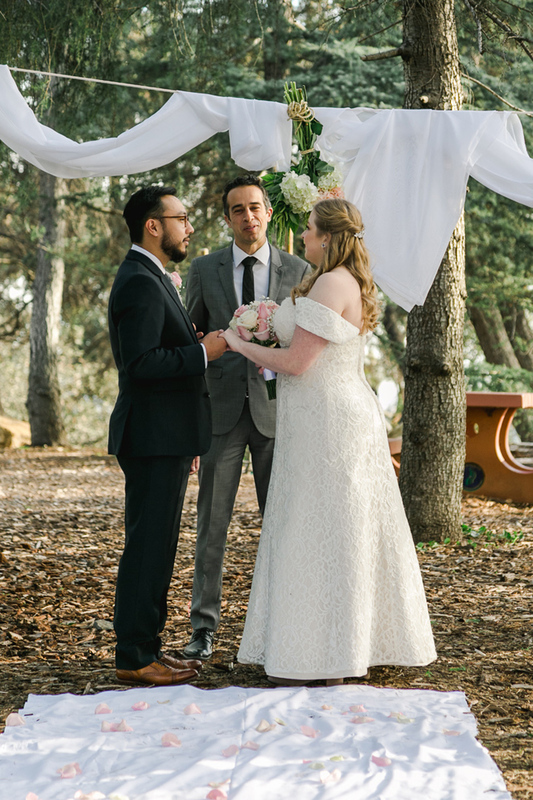 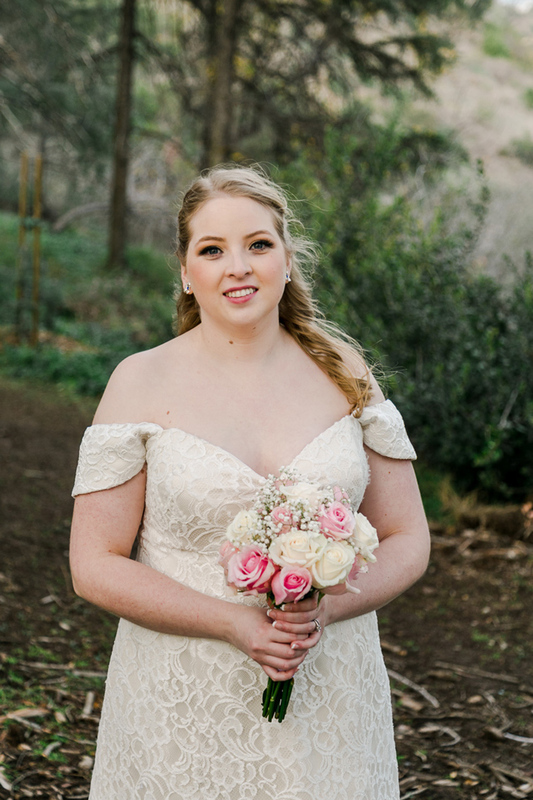 All we wanted was a beautiful outside venue and to have our parents and sisters with us.” I loved the way they decorated the grove and personalized the setting. 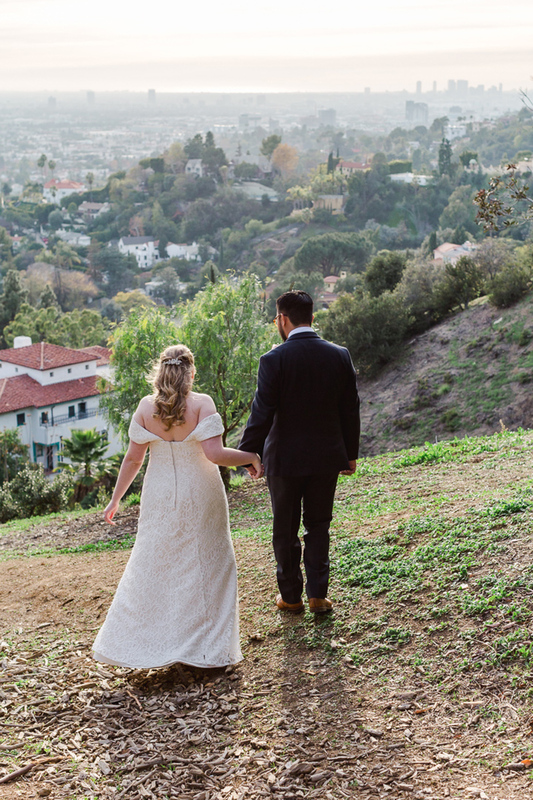 The forecast was rainy the whole week leading up to their date, but then we ended up with gorgeous weather for the day and had stunning views looking out over the city before sunset, and it was all perfect! 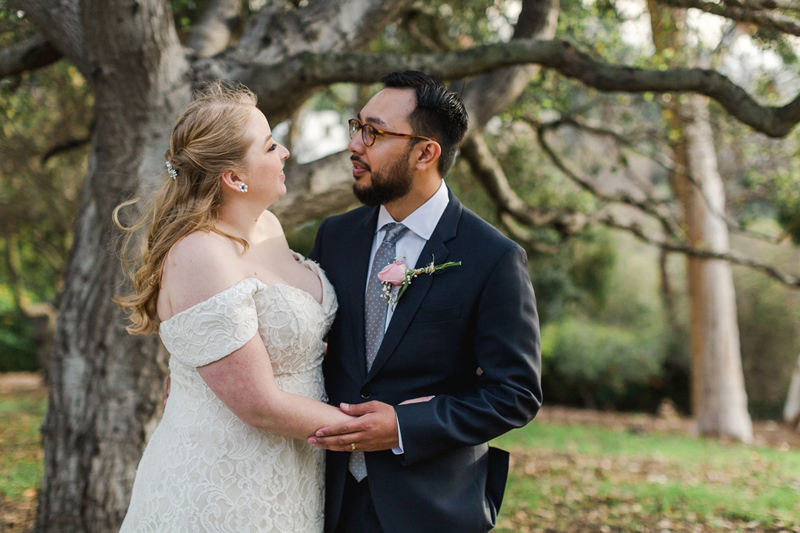 Congrats on your wedding, Carolina and Matt!